Based on Ninjutsu, the 1200 year old Japanese martial art of the legendary Ninja warriors, To-Shin Do was founded by Black Belt Hall of Fame member Stephen K. Hayes. To-Shin Do martial arts training develops the ability to live fully and operate effectively in all areas of life. Our program uses a thorough system of personal preparation for facing the conflicts and opposition that are inevitable in the course of everyday life. Much more than a “fighting style,” this training extends into all aspects of life, helping you develop a more positive and self-assured outlook. 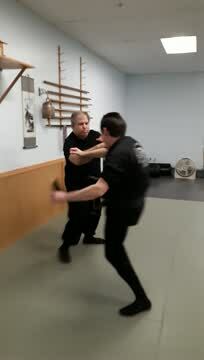 To-Shin Do techniques are based on an ancient and well-tested system of warrior disciplines, handed down by nine historical Japanese family lineages. At the same time, our training program is built around a very modern approach to successfully handling the type of threats and confrontations that are a part of our own contemporary culture. Most students take a minimum of two 45 minute classes a week, choosing from any of the convenient class times that are appropriate for their belt levels. 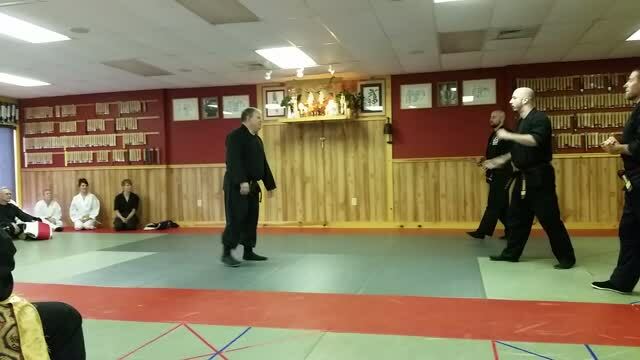 Pataskala Martial Arts Academy teaches both the Modern and Classical training forms of the To-Shin Do system. You will have the opportunity to learn and become proficient in one or several of the above areas of specialized study. Our youth programs for ages 7–14 mirror those of the adult martial arts program, but with teaching strategies geared to make training effective and fun for that age group. Private and semi-private lessons are available by appointment, contact us at 740-975-2634 to set yours up.